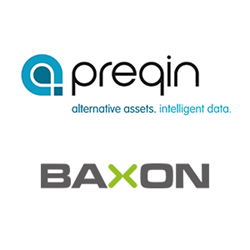 Preqin Ltd, a London, UK-based alternative assets industry’s data and intelligence platform, has taken a controlling stake in Baxon Solutions, a London, UK-based provider of middle office solutions for the private equity industry. Following the deal, the founders of Baxon will maintain a minority holding in the company. The two companies, which formed a strategic partnership in January 2015, will now further develop Baxon’s portfolio management and investor reporting platform, as well as expand into a number of other geographic regions. Founded in 2003 and led by CEO Mark O’Hare, Preqin provides products and services to more than 40,000 professionals located in over 90 countries, for a range of activities including investor relations, fundraising and marketing, and market research. The company has offices in New York, San Francisco, Singapore, Hong Kong and Manila. Established in 2005 by Jorge Hansen, Baxon Solutions provides private equity industry players worldwide with cloud-based automated solutions for front and middle office tasks such as monitoring, analyzing, benchmarking and reporting on portfolio company and fund performance.